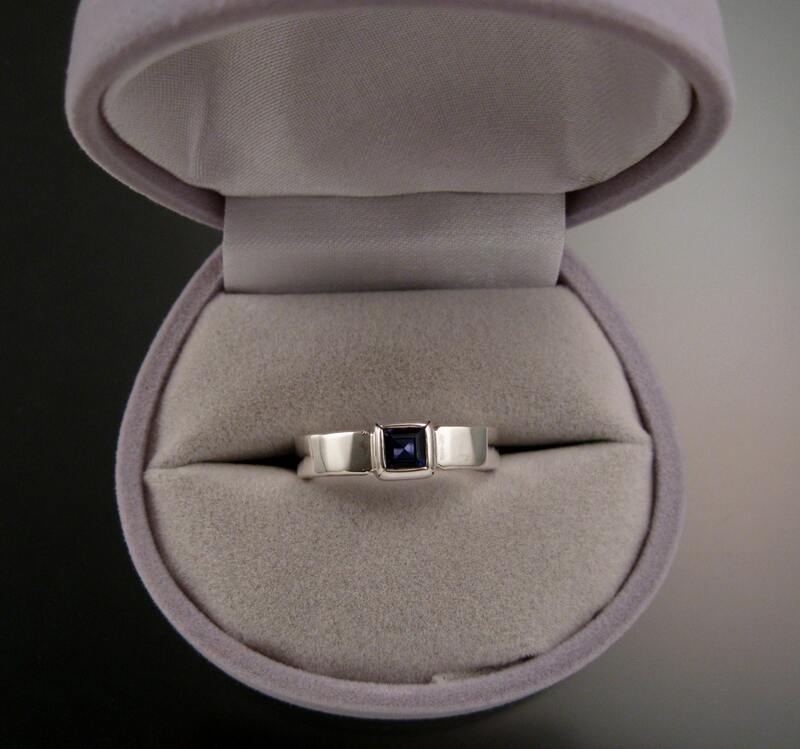 This is a sturdy ring that contains a 4mm square natural deep blue/purple Iolite. 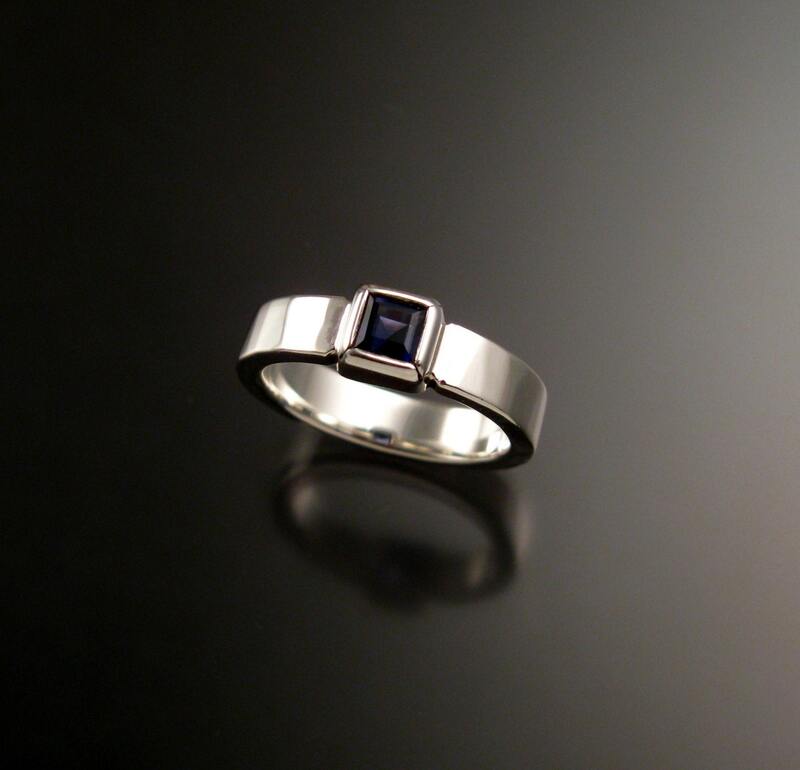 The stone is bezel set on a 2mm thick by 4mm wide sterling silver band. It is sturdy and comfortable to wear. 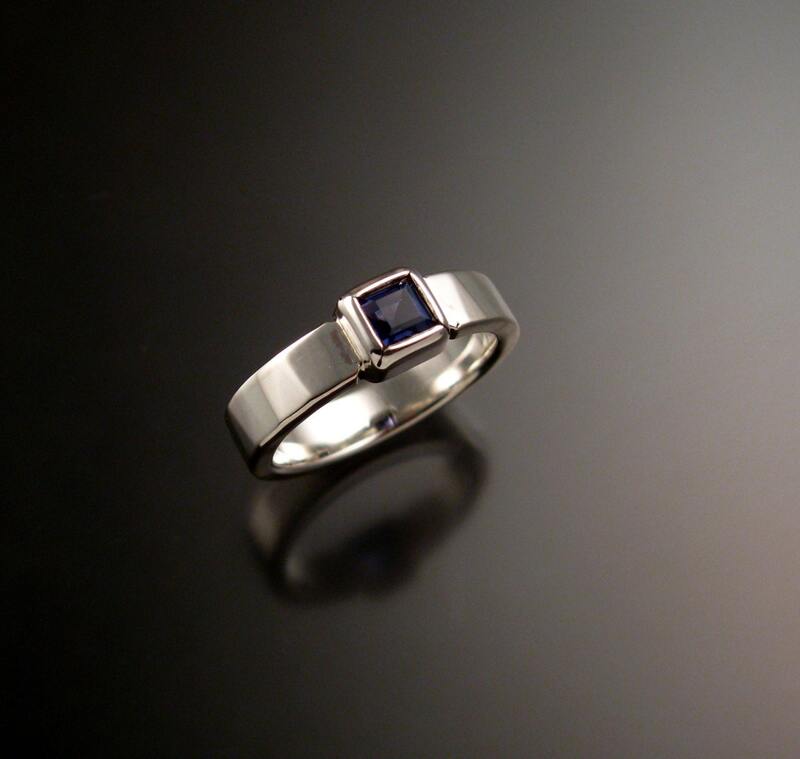 Iolite is a very true blue natural stone found in Bolivia. It rates a 7 on the Mohs scale for hardness. The stones are very clean top blue color and well cut. 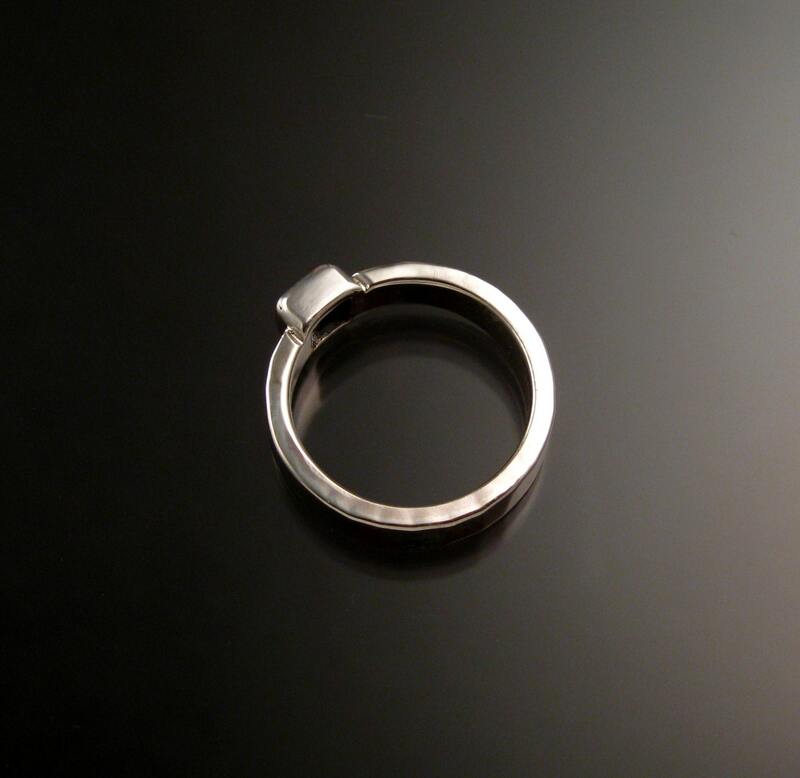 Be aware that in ring sizes smaller than 7 the stone will look slightly larger in scale with the setting and in sizes much larger than 7 the stone will look a little smaller. 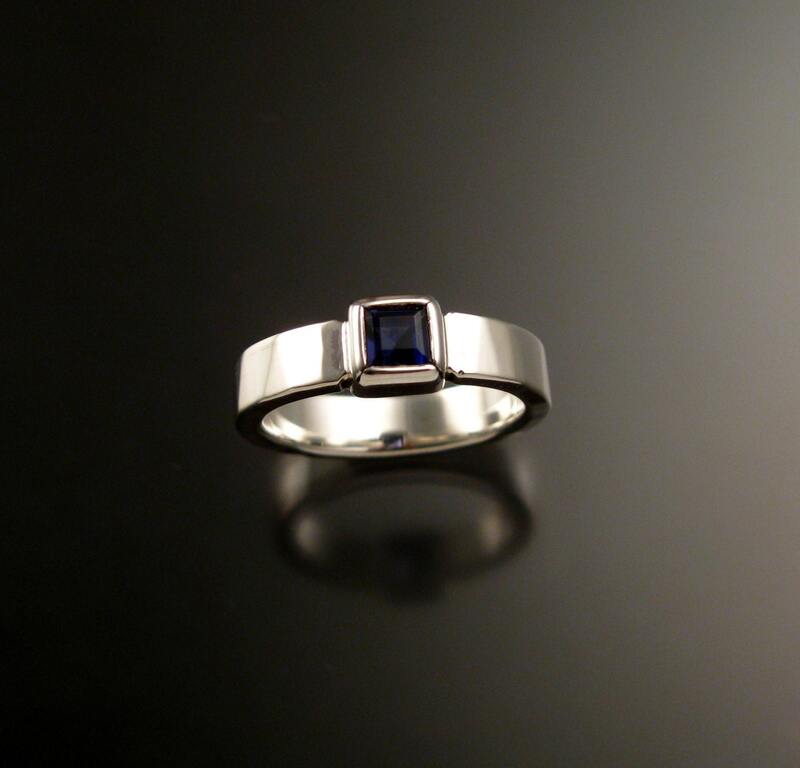 Leave a "note to seller" at check out with your ring size.